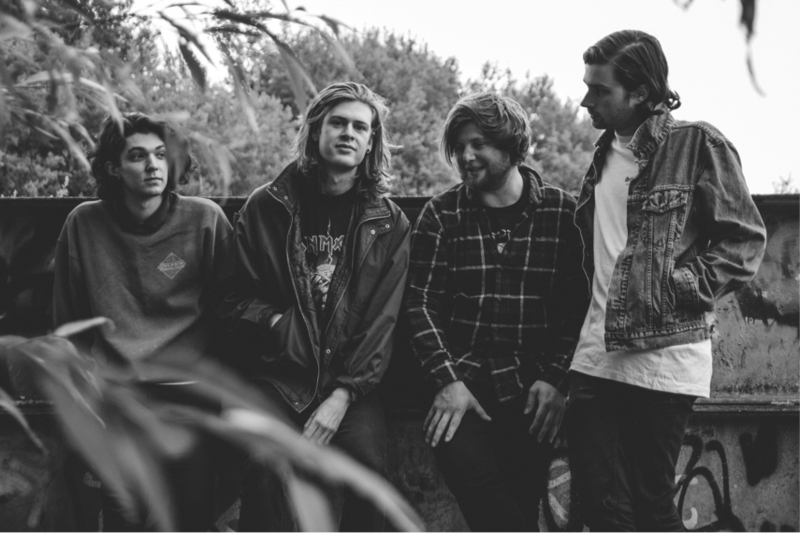 Reading-based quartet The Amazons will be releasing their debut EP ‘Don’t You Wanna?’ on 9th October, on their own label Goth Cruise Records. The opening of the hook-led lead track ‘Junk Food Forever’ kicks in with thunderous snare shots and cymbal crashes, with vocalist Matt Thomson’s lyrics complemented by an anthemic chorus guitar riff that promises to stay with you for days. Thomson describes the song as “a tribute to the nights we used to spend together with our friends before everyone left Reading for different reasons. You think that time will last forever… or at least want it to”. The band, championed by Zane Lowe, has already generated excitement with ‘Junk Food Forever’ receiving support from Annie Mac, Huw Stephens, and Jo Goods’ Shock of the New, as well as a featured slot on XFM’s ‘Songs of The Week’.